I received my Popbasic Isla Collection awhile ago and have been meaning to take styled photos before posting my review, but I still haven't taken pictures, so I'll just be posting my review. I was very happy with this collection and I've been begging for more cobalt blue in my wardrobe, because I love it! When I saw this collection included a cobalt skirt, I knew I had to order it! 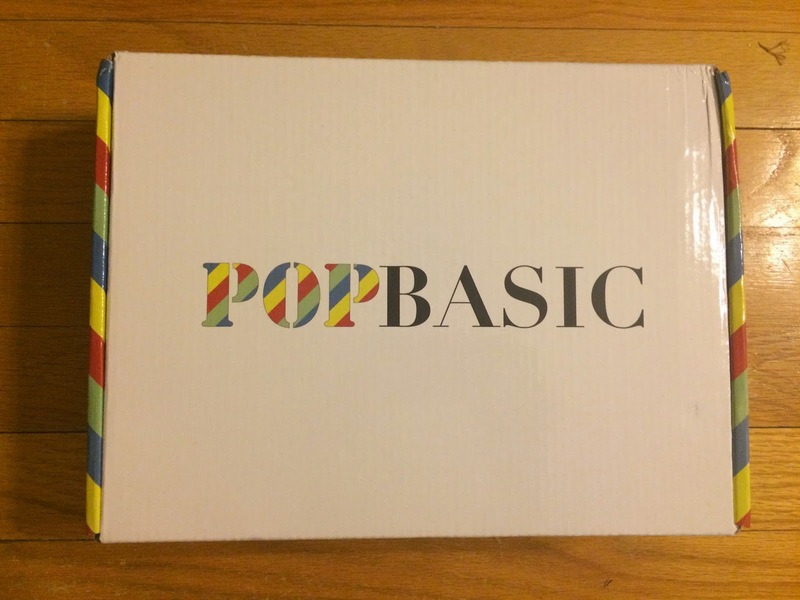 Popbasic collections contain 3 items and an extra small item, like a beauty extra or something similar. 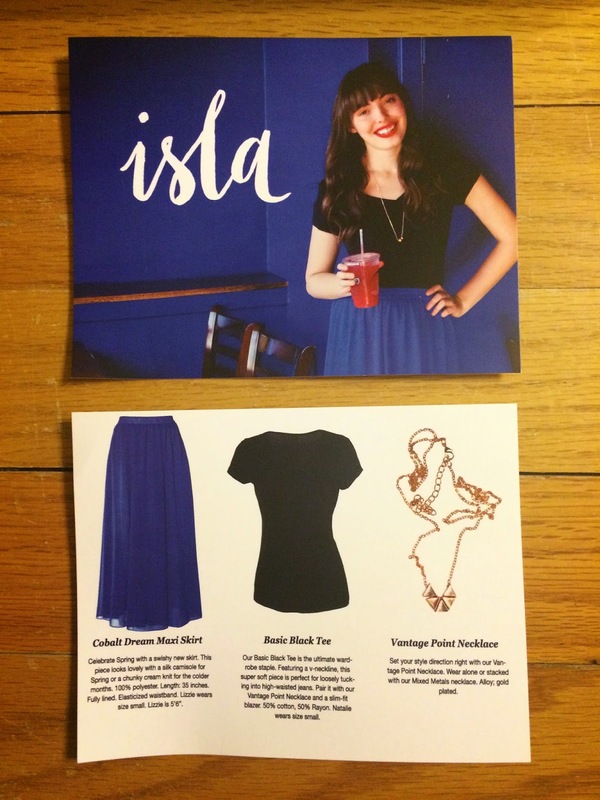 This month the main pieces included were the cobalt dream maxi skirt, the basic black tee, and the vantage point necklace. One difference with this collection was there was going to be an extra jewelry item included! 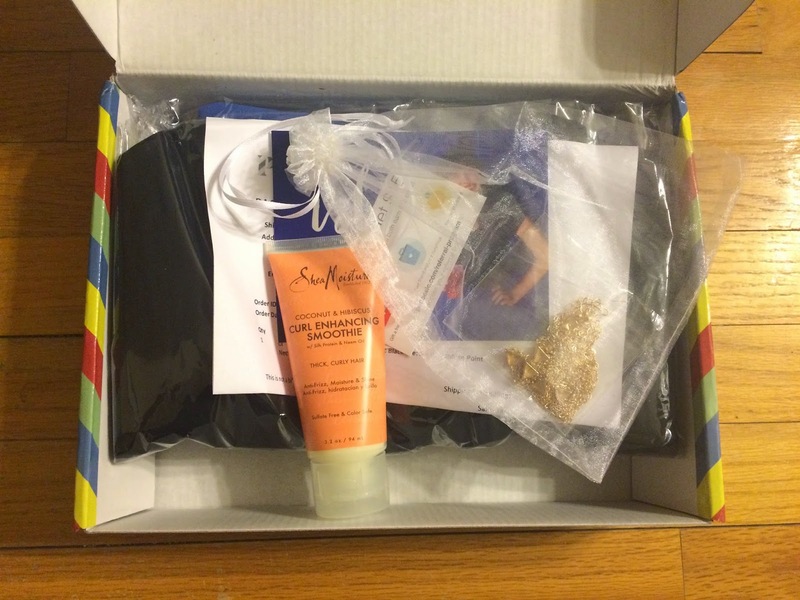 Here is a quick first glance at what was included in the box. Popbasic always includes an information card with what is included and a very nice postcard with a handwritten note from the owner of Popbasic! 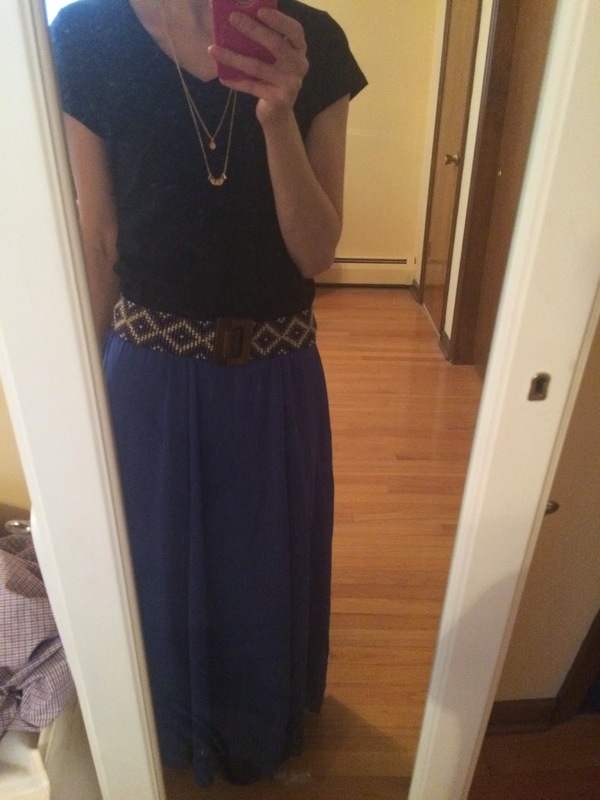 The item I was most excited for was the cobalt dream maxi skirt. I'm 5'6" and this is the perfect length on me! I love this bright vibrant color, which doesn't show true in my pictures. The actual color is similar to the information card (maybe a touch lighter). And Popbasic's basic tees always fit and feel like perfection. I wish I could order all the styles in multiple colors, because they are the only tees I want to wear. This t-shirt is a v-neck and is super soft! The vantage point necklace is a classic style that will go with everything! The extra jewelry item was a simple gold necklace with a small round pendant that goes nicely with the vantage point necklace and everything I own. 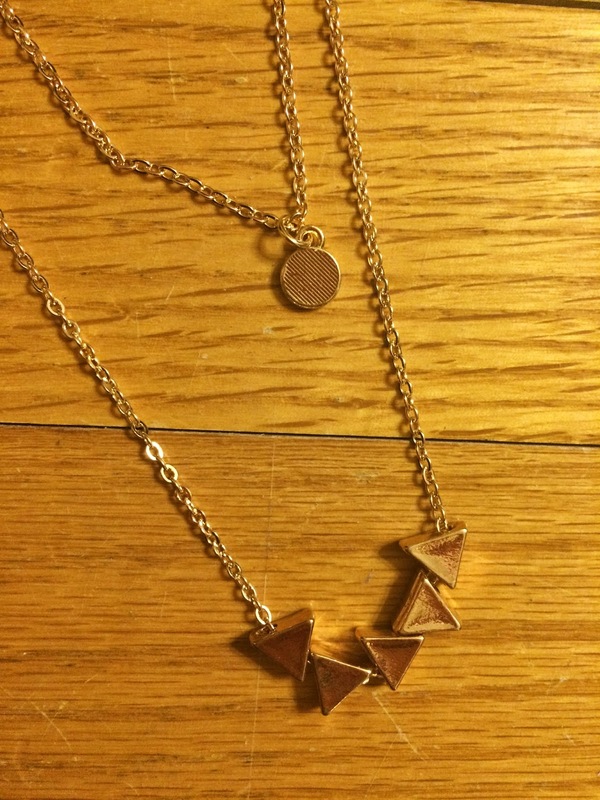 I think in the pictures on the Popbasic website they show these two necklaces together, so I was very happy to get both! 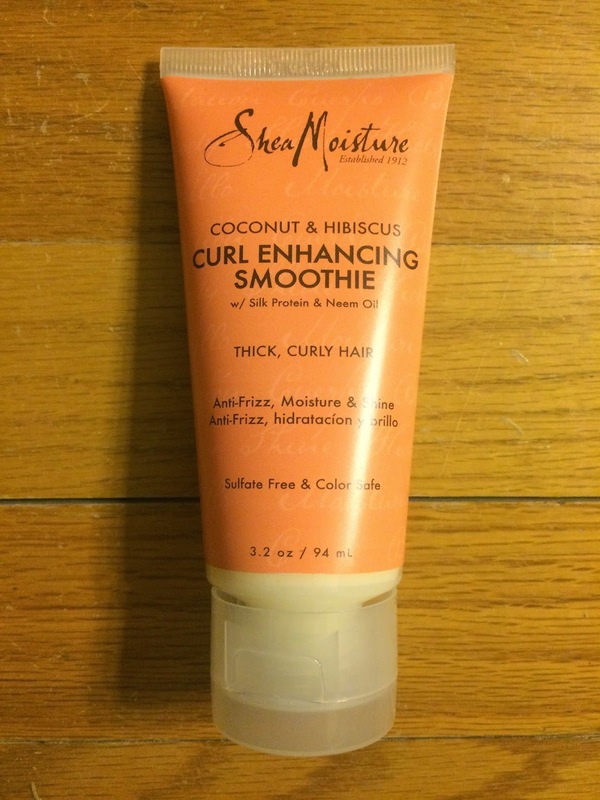 The extra item was Shea Moisture Coconut and Hibiscus Curl Enhancing Smoothie. My hair is very straight, but I like to curl it, so I'll try this the next time I curl my hair. This is a large product for an extra item. It smells amazing! And the only picture I have of me wearing the Isla Collection, is a very bad selfie. Sorry. But I love this belt from Golden Tote that I styled it with. The belt is no longer available on the Golden Tote Website, but I was lucky enough to get one. 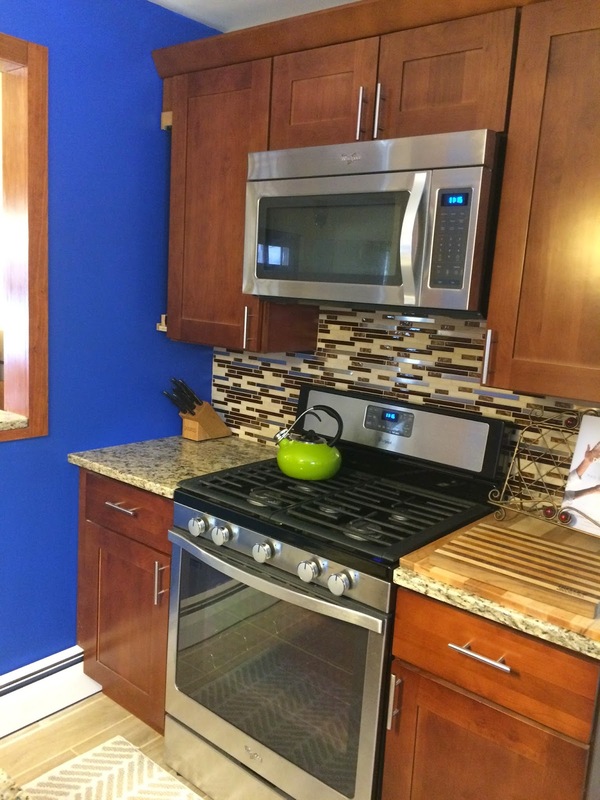 And the reason I felt the need to buy this collection, is that we just remodeled our kitchen and we painted an accent wall blue! So, I thought this would be the perfect outfit when we have a wine and cheese party with friends once the kitchen is 100% done! Doesn't everyone need outfits that match their decor!?! The Popbasic Isla Collection is still available in all sizes as well as the Felicity Collection which features a gray dress and a necklace and bracelet. The Ariel Collection will go on sale tomorrow (3/18/15) at 10 am PST. 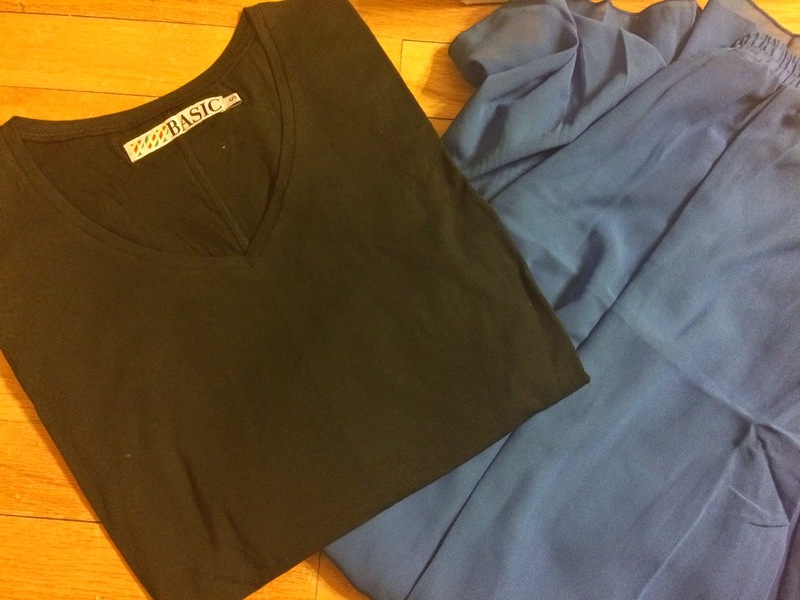 It features a gray tank top and two necklaces, one of which is cobalt blue! And if you haven't purchased from Popbasic yet, feel free to use my referral link for $15 off your first purchase!! !